Love the processing, great feeling of age in this one, Polly. I like it a lot! 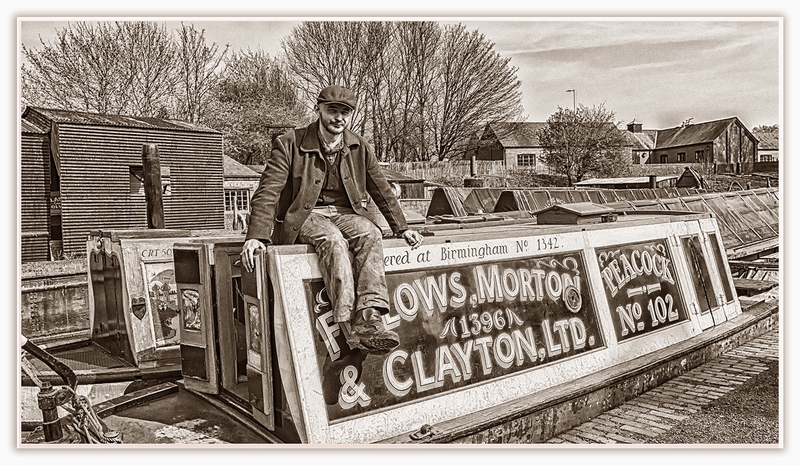 ...................you should try the Narrow Boat museum at Ellesmere Port. It's a great place, especially with a camera in hand. Another excellent image Polly. Thank you John ... yes it’s very similar to Beamish ... same deal price wise too ... £15.00 buys a ticket you can use all year ... every day even if you wanted to !! Is this the Blists Hill one near Telford? Or is it a different one. That street lighting column sticking up over the buildings needs a small dollop of you know what, but other than that a smashing image. Love the PP work. That museum is a super place to visit. Innit? Ah right, I shall have to try and make a visit there. There's quite a few of these living museums around, Korky pointed me to Blists Hill when we were in Stratford in 2017. A place I would like to get to as well! It's interesting that you've managed to get people in period dress into all these, Polly. There weren't any around when we went. Is this a benefit of going there during the week rather than at the weekend perhaps? We must have been unlucky with the choice of day then. It was a Sunday and quite crowded.